gonna add a sway bar on my gl1000. on the drawing the lower bar is the bike swing and the top one the hack swing. in between is the sway bar. 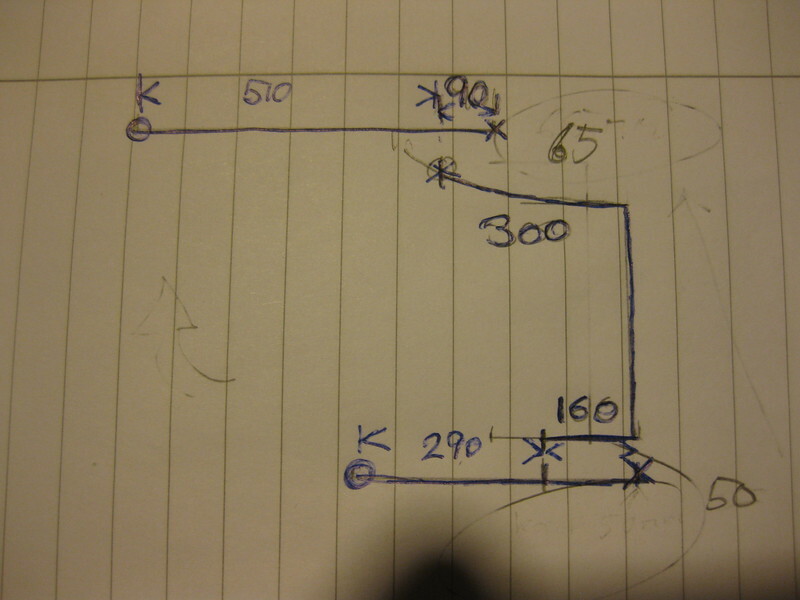 if I do a right turn and compress the bike suspenson 50mm at the wheel axle the hack swing will lift 65mm. this will help in the right turns which are the tricky ones but will it work in real life? Sorry for the slow reply. I did a story about anti swaybars for sidecars quite awhile ago that you might find useful. You can find it here. There has also been a ton of swaybar discussion over at advrider.com under the hack section. Hope this helps. In the moment I have work out a model and a drawing. There are also a couple of them on our projects section. nice. how do you plan to attach them to the swingarms? today I got my professionel build swaybar for my sidecar. Now I looking forward how it feel driving with a swaybar on a sidecar. The tempereature is now around zero degree Celsius and not the right weather to play with srew and wrench. But it is time to go on with my swaybar. It was a good instruction from the forum-members to adjust the bracket (rubber bushing) and the fixpoint for the swaybar in the last step. I use some varible fixpoints for a first test to find the right place. The original coupling rod from a Dodge swaybar ist 118mm but I need 114mm, so I cut one head, made an external M10 srew-thread and take a 10mm rod-end for finest adjust. Back from icefishing. Today I did my first test-ride with sway bar. To get an idear I installed an action on the sidecar-frame. To ride a fast leftturn the sidecar is more stronger then the courage of the rider. It feel like a ride on railway tracks. Rightturn is nearly the same as before. Now I like to mount the sidecar boat and to some weeks a practical test. But the first impression and feeling is pretty good.